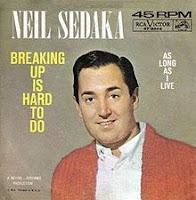 ORIGINAL SONG : "Breaking Up Is Hard To Do", Neil Sedaka - recorded in two versions , 1962 (classic doo-wap version), and 1975 (slow-ballad version). PARODY COMPOSED: Giorgio Coniglio, November 2015. 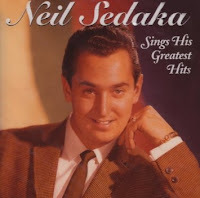 Health-care professionals who have to inject patients know that the fittest looking specimens, often muscular young men, are the most likely to faint with an injection, particularly if they stare at the needle. This phenomenon is well-known in Nuclear Medicine departments, where an intravenous injection is required before most scans. The injections are not technically challenging, as these out-patients have easy veins to access, but the somewhat unexpected result may disrupt the day’s schedule. “Sinus brady” is jargon for sinus bradycardia, a slow but regular and innocuous pattern on the electrocardiogram (ECG). CPR is an acronym for cardio-pulmonary resuscitation. Atropine, an injectable medicine to increase heart-rate may be used as part of resuscitation procedures. Syncope (pron. sin'-copy) means a faint. Vaso-vagal, a difficult but commonly-used term, refers to vascular effects (low blood pressure etc.) mediated by the vagus nerve. (to the tune of "Breaking up is Hard To Do"
But soon as we inject we find them white as sheets slumped on the floor. Cross fingers that it won't recur. Legs elevate and nothing more. Queeziness means leave left side down. But if they ever show again, injecting while they’re supine’s best. Flaking out is what they-ey-ey do. Dm7 = 2213; G7+5 = 0312; Fdim7 = 1212; Cm7 = 3333; BbM7 = 3210; Bb6 = 0211; Bbm7 =1111; Eb7 = 3334.